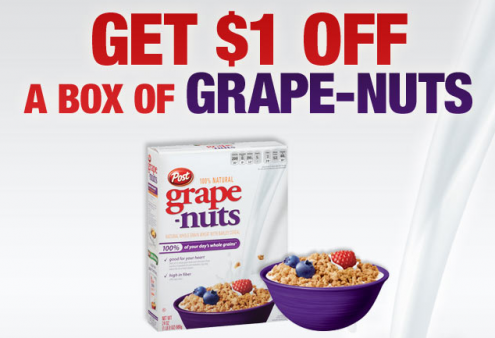 Head over to Grape Nuts on Facebook to print a $1.00/1 box of Grape-Nuts Nuggets or Flakes Cereal coupon. Thanks for joining us on our Mom’s Monday Mingle Blog Hop and I’m now following you back. I’m playing catchup with all the entries we had. 🙂 Hope to see you hop with us again.